The Romani goat handler - The Romani Goat Handling Race is an on farm Australian-designed invention. A typical setup features two 2.4m sections as well as three sliding gates and a draft gate module. The Romani sliding gate - this fits the Romani goat handling race. 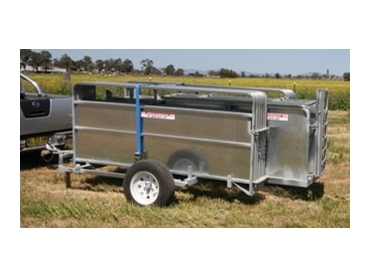 The APY17 portable goat yards - The complete system has seventeen 1200mm high portable goat Panels, as well as a trailer/draft race unit. Arrow Farmquip is dedicated to providing robust, innovative and stylish implements to the Livestock Handling Industry.